If you are looking to improve your immune system so you can naturally avoid all those nasty summer colds that are going around, then look no further. We have 7 super easy tips to help you improve your immune system, as well as stimulate your lymphatic system so you can fight off colds and help your body rid itself of those virus germs all at the same time. Since your lymph system doesn’t have an organ, such as a heart or liver, it should be stimulated to help it remove fluid and toxins from your body. It’s not as difficult as it sounds. Check out our list of 7 little known tips for keeping your health tip top shape this summer and beyond. Even though we hear this all the time, few of us actually practice it. Hydration plays a key role in our circulatory system so you really need to drink enough fluids all day. Without sufficient water, the lymph system is placed under stress, which can lead to toxic build up as it cannot function properly. Keep in mind also, that your kidneys need water to flush out all that water soluble waste, so drink up folks! For a real boost to your complete circulatory boost, alternate the hot and cold water during your showers. Cold water causes your skin to contract, which will squeeze the lymphatic fluid up and out. Hot water causes the fluid to move down. Try your best to alternate between hot and cold water about every thirty seconds during your entire shower. Also, be sure you have a whole house water filter so you know that your body is removing more toxins rather than just exchanging them. Another great way to keep your lymph system in tip top shape is to dry brush your skin. You probably know the location of your lymph nodes, but did you know that there are literally hundreds of miles of tubes that run to the lymph nodes so the body can dispose of toxins and waste? When we brush our skin, this entire system is stimulated by a means called lymphatic drainage. To practice this, buy a high quality skin brush that is made with natural bristles. Look for one with a long handle so you can reach your back. Before you take a shower and when you return home after work are both good times to dry brush your skin. Use the brush to make short, firm (not hard) strokes towards your heart. Don’t scrub, just brush. Be very careful around your face. Most people brush for about 10 minutes twice a day. This is a very specialized technique that uses pressure to the lymph nodes and tubes to strengthen the efficiency of your lymph system. This therapy involves moving the hands and arms back and forth in a wave like motion on the body. This improves circulation and removes any blockages. 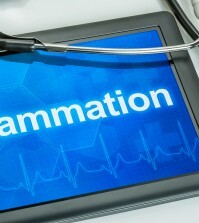 The benefits from this therapy technique include relaxation, detoxification, as well as the reduction of inflammation, even the regeneration of tissue. This is the quickest as well as the easiest way to improve lymphatic movement and drainage. All you need to do is bounce on one of those small trampolines. This uses gravity along with non-impact movements, to assist with the flow of lymph fluid. Simply stand with your feet shoulder width apart and bounce up and down gently. Your feet won’t leave the mat, this isn’t for exercise, but to help move the fluid in and to your lymph nodes. It sounds so easy but just 5 or 10 minutes a day of bouncing (do it in front of the TV if you like) can keep your lymph system free and flowing. Raw garlic – cooking destroys some of its health promoting compounds. If you can’t stomach raw garlic, take supplements. Citrus fruits – especially kiwi fruit, strawberries, lemons, cranberries and pomegranates. Veggies – try to eat as many raw veggies as you can, or lightly steam them in order to get the most nutrients possible. Eating broccoli, cabbage, parsley, and cauliflower are well known ways to keep your immune system in good working order. Lean sources of protein – such as eggs (eat the yolk!) pumpkin seeds, sunflower seeds, lean, grass fed beef, and free range chicken. Other immune boosters: are green tea (fresh brewed), garlic, turmeric, yogurt, and spirulina. 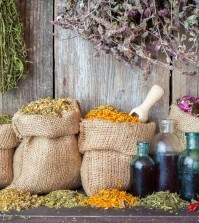 Read more about essential oils that boost your immunity.